TUNE IN: Don’t miss SciFri on BBC Radio Merseyside! 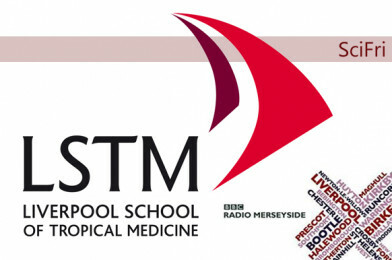 A Liverpool School of Tropical Medicine-led radio segment involving academics across LSTM, Liverpool John Moores University (LJMU) and the University of Liverpool will take place every Friday morning on BBC Radio Merseyside at 8:50am. Listen to Tony Snell and staff members from Liverpool School of Tropical Medicine make topics such as antimicrobial resistance, vector biology and diagnostics easily digestible for BBC Radio Merseyside listeners. SciFri will begin tomorrow, Friday 8th September, with Professor Serge Wich from LJMU introducing drone technologies and how drones are being used to protect endangered animal species. LSTM’s Dr Lee Haines will be featuring on SciFri on the 15th September talking about the insects that transmit disease, with LSTM’sDr Adam Roberts highlighting the current crisis of antimicrobial resistance on the 13th October. Listen to Radio Merseyside on 95.8FM or 1485AM digital, or online. Don’t worry if you miss the segment, you can listen again online.